This is my entry for the wonderful monthly wine writing challenge to which many self-abusing wine bloggers and writers subject themselves. I have joined the fun on several times but had taken a bit of a hiatus. Well...I'm back! Click here for more information: #mwwc14. I grew up in a very small, tight-knit family. And when I say small, I mean small. My dad had one sister; my mom had one brother. In grand total, I had four first cousins, only three that I actually knew. This family also lived very close together. So close, I actually lived about thirty seconds walk from my grandma’s house on our family ranch. This time of the year, I often smile to think of what a wonderful childhood I had with this close family. Though we had specific holiday customs, my family also had traditions all year around. Sunday dinners at my grandma’s house. Christmas Eve opening of presents. Fires in the fireplace. Hunting and cutting live Christmas trees. Games after holiday dinners. Hide and seek with the cousins. The list goes on and on. One item missing from this list of traditions is noticeably wine. My family was not a family of wine drinkers. They really were not a family of drinkers at all. Except for the “pork chop in a can” my dad would drink when he opened up his cheap beer, alcohol wasn’t a part of my family rituals. Food, on the other hand, food was. Not only was food there at all of the above instances, but food was usually the center of and focus for these occasions. My grandma was a fabulous cook, especially of homemade, traditional fare: all items made from scratch, many items from recipes passed to her from her mother or grandmother, most items eventually committed to her memory not even requiring her to look at an actual list of ingredients as she cooked. This was a very special trait about her, a trait she also passed on to my dad. 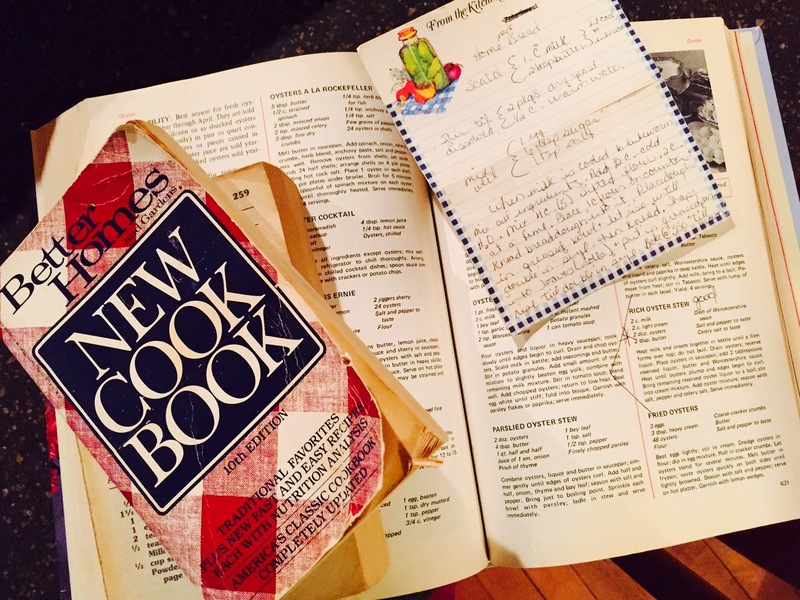 Now that I have lost both of my parents and this food-loving grandma is in a nursing home with dementia, I have spent the past several years attempting to recreate or find recipes as close to those original ones as possible. My grandma’s oyster stew and her egg noodles are dishes that I have either found a recipe close enough to pass as hers or have adapted what I know she used and got the taste as close to hers as possible. The beef stew and dressing I still don’t have a written recipe for—they are both a dash of this and a pinch of that, even with me cooking. I plan on writing these down before my memory begins to fade, so my kids will have something when they cook. I indeed count myself lucky that the bread dough recipe for rolls I have just as Grandma used it, written down in the exact amounts of ingredients needed. Of course, now that I am the head of a wine-loving family, each of these special, traditional foods has a wine custom linked to it. My well-used recipe and cook books of traditional recipes. Scald 1 cup milk with 2 tbsp. butter; let cool to luke warm. Stir 2 packages dry yeast into ½ cup warm water until dissolved. Mix 1 egg, 6 tbsp. sugar, and 1 tsp. salt well. When milk is cooled to lukewarm, mix the above ingredients together in a large bowl; add ½ c. cold water. Add 4 cups sifted flour, two cups at a time. Using 1 cup additional flour, knead the dough into it on a flat surface. Place dough in a greased or oiled bowl and let rise until double in size, about an hour. Knead. Shape into loaves or rolls. Place in a greased pan. Let rise until double in size again. Bake at 350 degrees for thirty minutes, until golden brown. These rolls are served at every Thanksgiving with turkey and dressing. I serve a dry Riesling and a bright Pinot Noir with the turkey dinner. 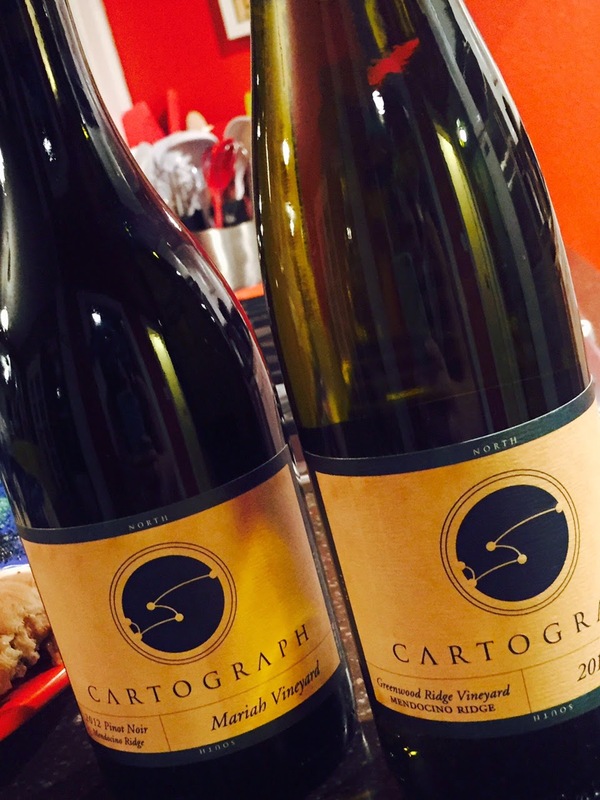 A wonderfully dry Riesling and bright California Pinot Noir, perfect with turkey dinner. In a large mixing bowl, mix flour and salt. Make a well in the center. In a separate bowl, mix the eggs, water, and oil. Add egg mixture into the well and mix until combined. Sprinkle kneading surface with extra flour and knead dough until elastic—8-10 times total. Let dough rest for ten minutes. On a lightly floured surface, roll each fourth to about 1/16 inch thick. Roll each quarter up, slice about 1/8 inch wide, and separate noodles. Let noodles dry for up to four hours. Add to chicken stock for chicken and noodles. Heat milk and cream together in kettle; do not boil. Drain oysters; reserve all juice. Place oysters in a sauce pan; add 2 tbsp. oyster liquor, butter, and Worcestershire. Heat oysters until plump and edges begin to curl. Bring remaining reserved oyster liquor to a boil; stir into cream mixture. Add oysters; season with salt, pepper, and celery salt. The chicken noodles and oyster stew are our traditional Christmas Eve meal; I serve a Chardonnay with both, either buttery California style or more acidic Burgundy style. I will often mull a sweeter wine for the kids and non-wine drinkers. 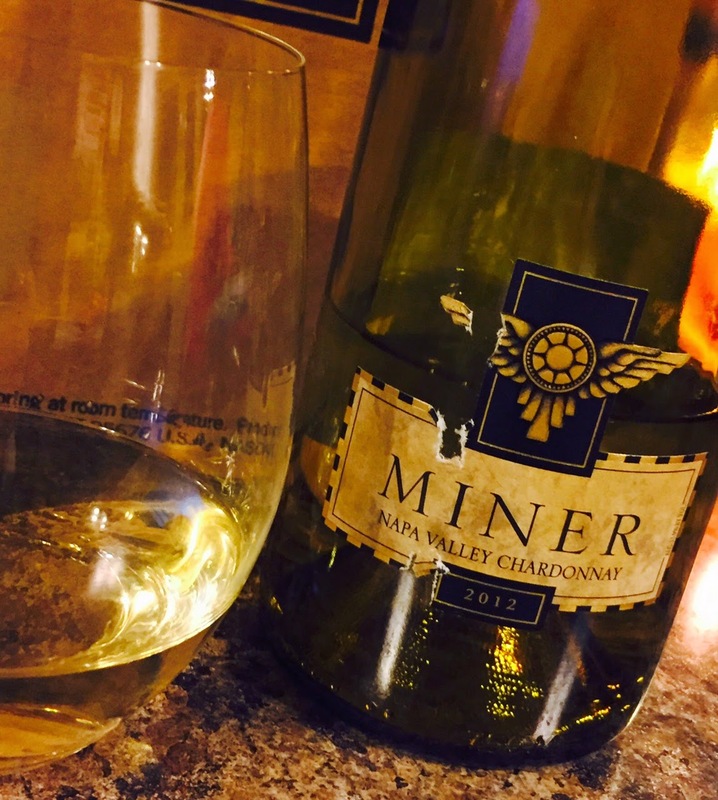 A buttery Napa Chardonnay pairs well with both chicken noodles and oyster stew. As the holidays wind down, I put away my cookbooks and clean my kitchen, yet again, after incorporating these traditional family recipes from my childhood into my adult celebrations. I don’t use the term blessed lightly, but I truly do feel blessed when I think back on my close family. My grandma was an excellent cook, and I like to think that I have gotten a little bit of this from her. No, I hope I got a lot bit of that from her. Though my family’s traditions today are quite different from when I was young, I hope my children look back on these years when they are adults and have the same fond feelings I do. Yes, food will definitely be a part of their memories; however, I am guessing wine will also be a major part of their recollections as well!